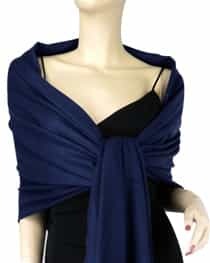 The Pashmina Store is proud to bring you the finest quality Midnight Blue 100% pashmina wraps at exceptional values. 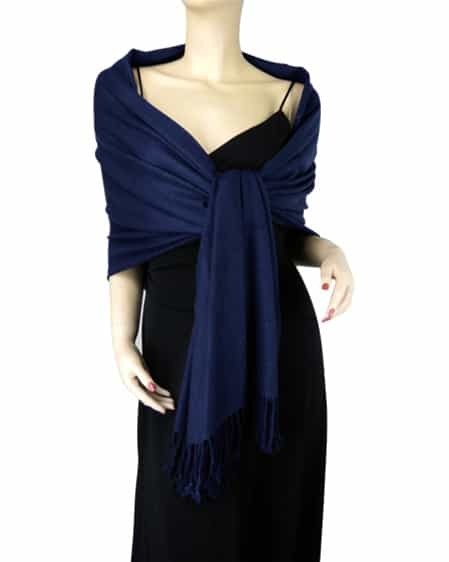 This beautiful dark navy blue wrap is a full 28" x 80", plus 3" tassels on both ends. It is carefully crafted by hand in Nepal using 100% soft and wonderful pashmina wool. Plus, it is luxurious 2-ply...making it extraordinarily comfortable. Average Customer Review: 4.5 of 5 Total Reviews: 2 Click here to write a review. HI, I RECEIVE THE PASHMINA TODAY AND I LIKE IT VERY VERY MUCH!!! I've ordered several times from you and have always been impressed with the quality of your products and service. I recommend your company to everyone!